If you've been arrested for a DUI, hiring the most qualified DUI attorney for your case will be one of the most important decisions that you make about your case. Not all attorneys are created equal. When you hire your DUI attorney, you want to make sure that the lawyer you hire is a dedicated professional, someone who is committed to defending your case and helping you survive this ordeal. You want someone who understands the finer details of DUI cases (which are very different from other types of criminal cases), and who has the ability to persuade the judge, the prosecutor, and the jury to put aside their biases against DUI cases and give you the fair outcome you deserve. But as I said, not all lawyers are equal. 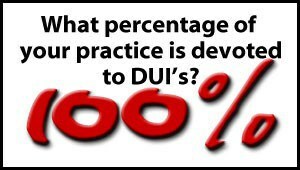 Some are dedicated to DUI defense, and commit 100% of their practice to helping people who have been accused of DUI. Others are "dabblers" and commit a portion of their practice to DUI defense, but don't exclusively help people in situations like yours. Still others have no idea what they're doing, and pick up the occasional DUI case to help a friend or because they need the money. Some know all the ins and outs of DUI defense. They have breath test machines in their offices, they read the daily updates, and they live and breathe this stuff. Others have no idea what problems can arise with the breath test and have no understanding of how to prove the FST's were administered incorrectly. They all look alike, they all have the same type of law degree, and they all say they're great... How can you tell the difference between the best Tampa DUI attorney and the worst one? It's easy... But only if you know what to look for and what questions to ask. Read through these next few sections and you'll have all of the information that you need to identify the best Tampa lawyer to handle your case, as well as everything you need so you can avoid hiring the worst DUI lawyer for your case. If you have any questions, or want to speak with a DUI attorney who can happily answer all of these questions, call me today at (855) THE-DUI-GUY. Hiring a Tampa DUI lawyer is the most important decision you'll make about your case. 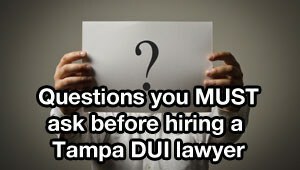 Here's how to find the best Tampa DUI lawyer. 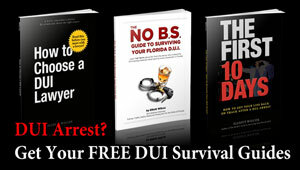 If you've been arrested for a Tampa DUI, you can't afford to hire a bad Tampa DUI lawyer. 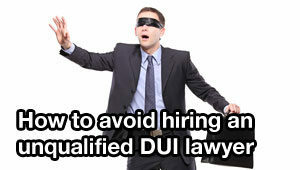 Here are the signs your lawyer isn't qualified to handle your DUI. Tampa DUI Lawyer Elliott Wilcox exclusively defends DUI cases. Call now to ask if he can help you get your license back and help you avoid the "hidden cost" of a DUI conviction. 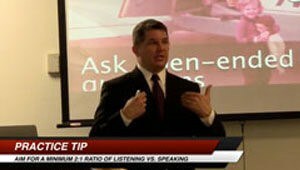 How Much DUI Lawyer Training Should a Tampa DUI Lawyer Have? Your DUI lawyer should be dedicated to DUI defense. 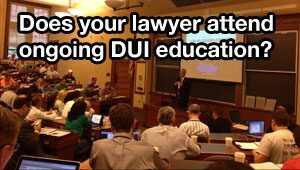 One easy way to see if they're dedicated is to ask how much DUI lawyer training they've attended. Here is the list of every DUI program Elliott has attended or taught. Tampa DUI defense is a complicated area of the law requiring dedicated focus. 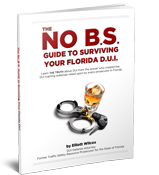 Learn why Tampa DUI lawyer Elliott Wilcox dedicates 100% of his practice to DUI defense.